It was only a matter of time. I have no idea how Beyoncé managed to release an entire secret album in 2013 considering how easily albums leak — or songs from albums leak — in general and very recently. The most recent example was the leak of One Direction's FOUR album two weeks early, something that caused the band and True Fans quite a lot of irritation but thankfully didn't seem to make a dent in their sales. Regardless, there will be no surprises from Beyoncé again, it seems, because two songs from her upcoming Beyoncé Platinum Edition have been leaked: "7/11" and "Ring Off." 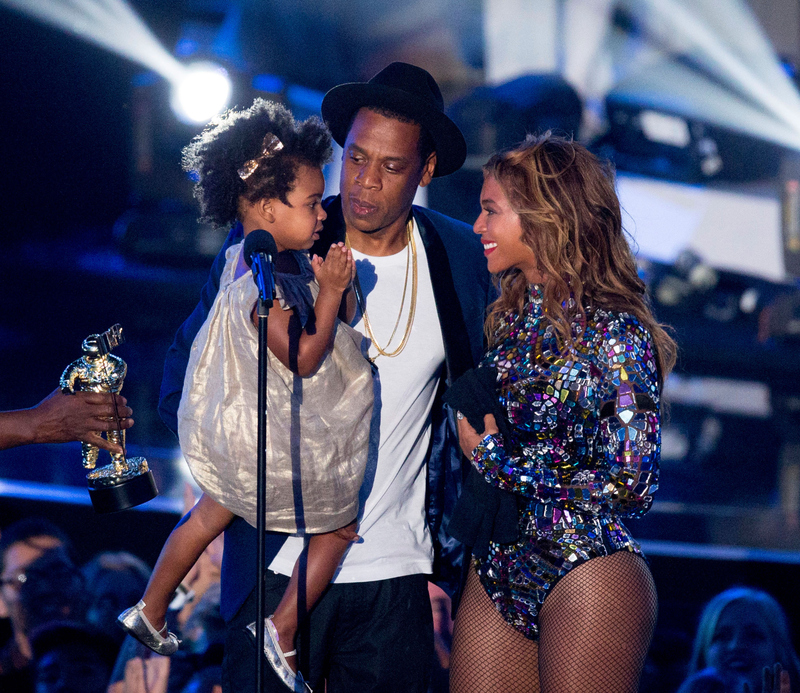 When a snippet of "Ring Off" leaked online, people immediately began to wonder if the song was about Jay Z and Beyoncé, and thus if it would reignite the rumors that the pair are planning to divorce. The full song puts those rumors to rest in the very first verse. Almost like she knew what people would think the moment they heard she had a song about divorce coming out, Beyoncé easily and classily dismisses those rumors right away in the opening lines of the song. As it turns out, Bustle writer Alex Kritselis was right when he guessed that "Ring Off" was actually about Beyoncé's parents' divorce and not any clue that she had one that was forthcoming. I mean, I'm sure that you can certainly read it that way if you want to. After all, how would she "understand [her mother's] many sleepless nights" if she herself hadn't suffered that same pain due to marital troubles with Jay Z? Is she using her parents' divorce as a reflective lens through which to consider her own? I'm going to go ahead and say probably not. Even if that opening verse sounded a little too reflective to completely paint a picture of sunny skies and rainbows in her marriage with Jay Z, there's the second verse that focuses more definitively on her mother and her relationship with her mother. In fact, it's downright heartbreaking. By this point, it seems like it would be doing the song an immense disservice to reduce it to mere fodder in the ever-loaded Jay Z/Beyoncé divorce rumor canon. It sounds like a dancey ode from Beyoncé, as a daughter, a mother, a wife, and an adult, to her mother, whose perspective she can understand a lot better now that she herself has dealt with the struggles of making a marriage work despite pressures and tests that all such relationships face. In fact, it sounds like a tale of appreciation for her mother for dealing with even worse than Beyoncé herself has gone through while still managing to remain a role model throughout. And that's truly beautiful. "Ring Off" might have leaked online, but I think we owe it to ourselves — and owe it to Beyoncé — to buy the song off the album when it's finally, officially released on iTunes. Not only is it beautiful, it's a powerful anthem of independence, of picking yourself back up after a love lost, or being free to Run the World even after you've been hurt by someone you loved more than anything. So sure, you can look for sordid clues that Beyoncé is trying to hint to us that Jay Z is going to be served up some divorce papers sometime soon, but that would be a waste of time. First of all, there's new Beyoncé music to enjoy and you can't enjoy it if you pick it apart. Second of all, this is the kind of song that makes you want to dance and cry at the same time, so you won't have much energy for anything else.